The Code Creator Red5 Media Server delivers a powerful video streaming and multi-user solution similar to leading media servers and stands as a solid solution for business of all sizes. Red5 supports multiple formats including FLV, F4V, MP4 and 3GP. The Code Creator Red5 Media Server with Upstart and Monit delivers a powerful video streaming and multi-user solution similar to leading proprietary media servers. Based on Java and some of the most powerful open source frameworks, Red5 stands as a solid solution for business of all sizes. By using the latest Code Creator Source Red5 Media Server, you are developing with a truly open and extensible platform that can be used in video conferences, broadcast live audio/video streams, record or host a video chat site or even host live multi-user gaming and enterprise application software. 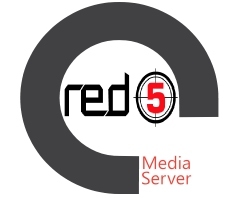 Red5 provides services similar to: Streaming Video (FLV, F4V, MP4, 3GP), Streaming Audio (MP3, F4A, M4A, AAC), Recording Client Streams (FLV and AVC+AAC in FLV container), Shared Objects, Live Stream Video Publishing (FLV, VP6), Live Stream Audio Publishing (MP3, AAC), Remoting (Action Message Format) and Protocols: RTMP, RTMPT, RTMPS, and RTMPE. The media server is configured as an Ubuntu Upstart with a monitoring service using monit for down crashes. Stream Live and Recorded Video in multiple formats including FLV, F4V, MP4 and 3GP. Stream and Record Live Events. Great for multi-user gaming. Stream Media to Desktop and Mobile Devices.